Home Wine Making Supplies. What Do I Need? The list of home wine making supplies isn't long or extensive. The most important, of course, being the grapes themselves. But other supplies; such as wine yeasts, yeast foods, and other, are important because they help you to manipulate and refine your finished product. As stated above, the most important of the home wine making supplies are the grapes themselves. Not only for the obvious reason that without grapes you don't get very far, but because nothing will impact the flavor of the final product as much as the type and quality of grapes that you use in your home made wine. Yes, whether the grapes are white or red define your wine, but what kind of red grape, or white grape for that matter, is also key. 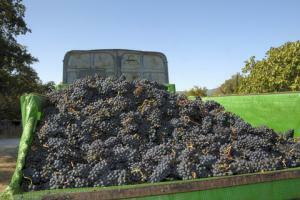 If you use a gamay grape your wine will be totally different from one that you would make with zinfandel grapes. The other components allow you to control the wine making process. I suppose that in "olden days", and by this I mean when wine making first began; people did not use yeasts, citric acid, or malolactic bacteria. 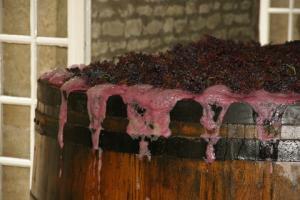 The yeasts naturally present in the grapes turned juice into wine. But I am guessing that winemaking was quite a gamble. Not so much today. Now a'days there are several elements that will make your wine making experience much less of a roll of dice. So, if you want to make homemade wine and hope for consistent results, you should become proficient in the use of these components. What Will They Do For Your Wine (And Your Sanity)? Wine Yeasts Will start the fermenting process. Yeast Foods	Keep yeasts working hard to complete fermentation. Malolacting Bacteria	Turns malic acid into mild lactic acid. Potassium Metabisulfite	Helps to clarify wine. Tartaric Acid	Helps to raise acidity in overripe grapes. Citric Acid	Cleans, treats and neutralizes carboys, buckets, and other equipment. Here is a list and quantities of supplies that you will need to produce 5 gallons of home made wine. 1. Wine grapes, at least 50 pounds. 2. Wine Yeasts, a 5-gram packet for every 50 pounds of grapes. 3. Yeast foods, 10 grams. 4. Malolactic bacteria, one 1.5 gram packet. Enough for up to 500 or 600 pounds of grapes. 5. Potassium metabisulfite, minimum of 100 grams. 6. Tartaric acid, minimum of 100 grams. 7. Citric acid, minimum of 200 grams. Use this list when you go shopping for home wine making supplies and equipment. Ask your brew shop for advice and direction on how to use these elements. Become Comfortable With Home Wine Making Supplies, They Will Help You Succeed.